I was contacted by Rig & Co. to freshen up their online presence after opening their first brick-and-mortar location. The old site was functional but didn’t really capture the essence of their brand. The new site’s photo-heavy design helps guest experience the studio’s vibe online before they even step foot inside the building. 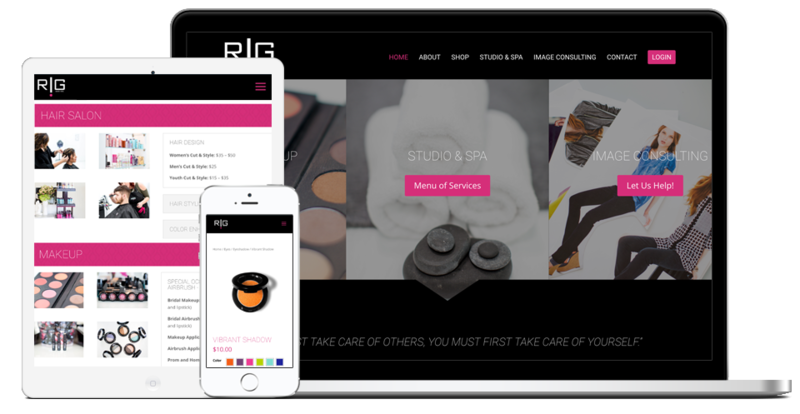 This site also features a robust back-end cart system for Rig & Co.’s makeup products. Go ahead, click through the site and you’ll see why this project is one my favorite projects to date.